Pflugerville Independent School District includes 29 schools ranging from elementary to high school in Central Texas, just north of Austin. The District encompasses approximately 95 square miles and includes all or part of six municipalities including Pflugerville, Austin, Coupland, Hutto, Manor and Round Rock. Currently the district has nearly 24,000 students and 2,800 staff members, the largest in the district's history. This made account management a large undertaking as there is frequent movement of students between grade levels, along with additional students and employees each semester. With the account management software the district had in place, it took weeks to just process nearly 3,000 accounts, which was only a fraction of the total needed. The district also had a full time staff member during the summer whose sole job was manually moving accounts, even with the solution in place. In addition to all of these efforts the district also required an additional software solution to handle their Office 365 accounts and run a completely different process, since the account management solution could not do so. These issues began effecting students and staff, when they were not able to login at the beginning of the semester as their accounts were not processed yet. "Our previous solution was a headache, and it would constantly crash every few weeks and need to be rebooted," commented Victor Valdez, Executive Director of Technology at Pflugerville ISD. "We no longer have any issues provisioning accounts and are able to do it extremely fast." Pflugerville ISD began researching several identity and access management providers in order to improve their situation. District officials felt so strongly that Tools4ever's User Management Resource Administrator (UMRA) was the best option for the district that PISD opted to go ahead with the implementation only 30 days before the start of the school year. "We liked how Tools4ever's simplicity of the interface is very clean, and that it is SQL driven not directory-service driven, a drawback of many other vendors, which makes it substantially faster," Valdez said. Pflugerville needed UMRA implemented fairly quickly, in order to ensure that students and staff had accounts created before the beginning of the school year. "Tools4ever had a 30 day time limit, and they were able to get it up and running before the school year began," Valdez said. "We were really surprised at how smoothly the process went." Tools4ever worked with Pflugerville to first set guidelines and map out everything including identifying all of the groups. They then ironed out everything that was in place and how they could automate it and improve upon the process. UMRA is set up to allow Pflugerville ISD to connect with all campus student information systems, so that anytime a change is made in the SIS it will automatically be reflected in all corresponding accounts. This allows district staff to easily provision and de provision all student and employee accounts from one system, their SIS, to Google Apps, Exchange and Office 365 and have them automatically created each night. "We no longer have any issues provisioning accounts and are able to do it extremely fast. HR simply inputs everything and accounts are created once a day," commented Valdez. Tools4ever also customized UMRA for the district so that accounts that are de provisioned are marked as disabled; so that they can go back and double check everything is correct before they are deleted. 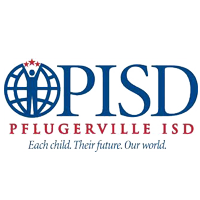 In addition, Pflugerville ISD uses Tools4ever's Password Synchronization Manager (PSM). This allows students and employees to have a single set of credentials to login in with. Any password changes that are made are then automatically synchronized to Google Apps. Overall, UMRA has saved the district a substantial amount of money. Pflugerville ISD no longer needs two separate solutions to handle account management, and the position of manually creating accounts over the summer was able to be completely eliminated. In addition, the district no longer has to worry about the system crashing, or that students and employees will not have accounts created when school begins. "I am confident that it is getting the job done without having to stress about anything. I don't hear much about UMRA, and no news is good news," said Valdez.